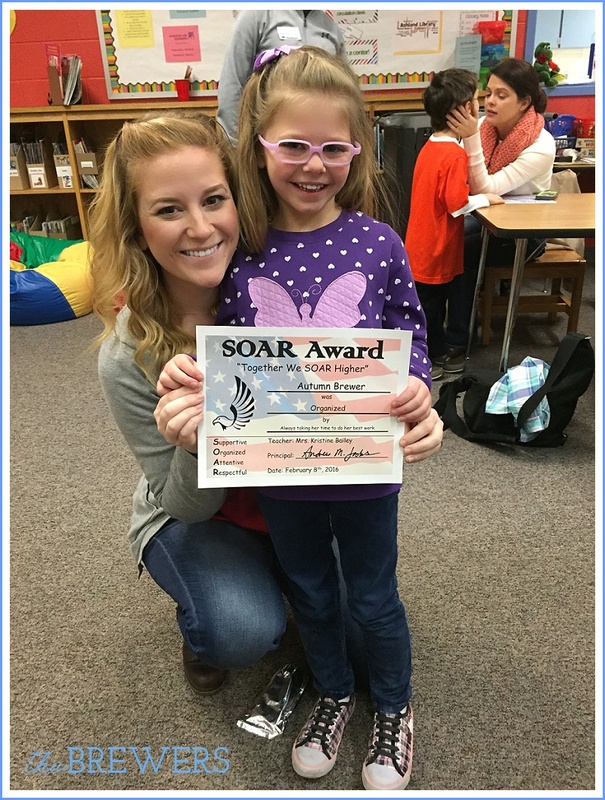 Each quarter, Autumn's school gives out "SOAR" Awards. 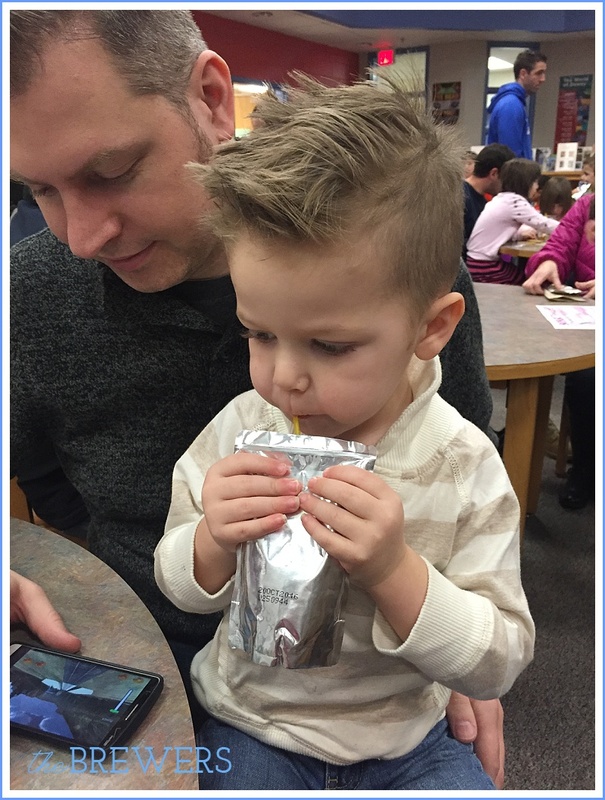 When your child is selected for an award, you're sent a letter and invited to the assembly, which happens during the morning announcements. 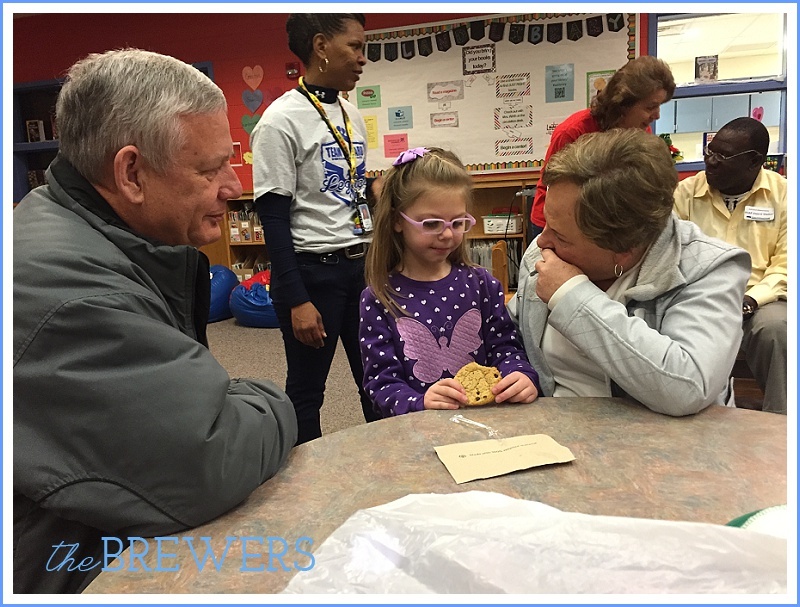 Families are invited to watch the announcements in the library, and then the kids filter in for a small reception of cookies and juice. Autumn was so excited to have the whole family there! Just another blessing of living so close to Nana and Grandpa! 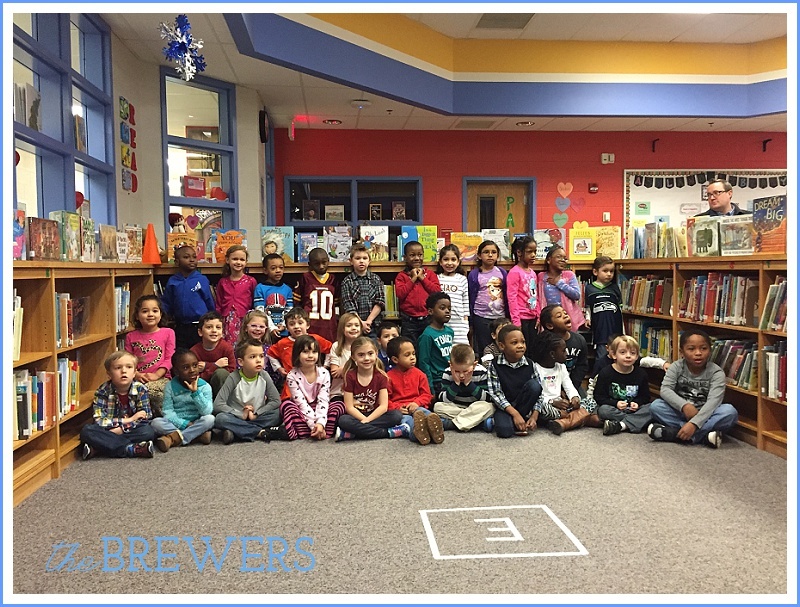 All of the Kindergarten SOAR Award recipients. Brody was happy to come and support - and partake in the provided snacks.